I always buy any flexi record that crosses my path, no matter in what shape they are. The less information they have, the more interested I am. I don’t mind if they have no sleeve or label. I have no idea what this is. It sounds like a recording of an orchestra playing an avant garde composition. But who made this? Where and when was it recorded? And why is it released as flexi record? It is this a Sonopresse record. 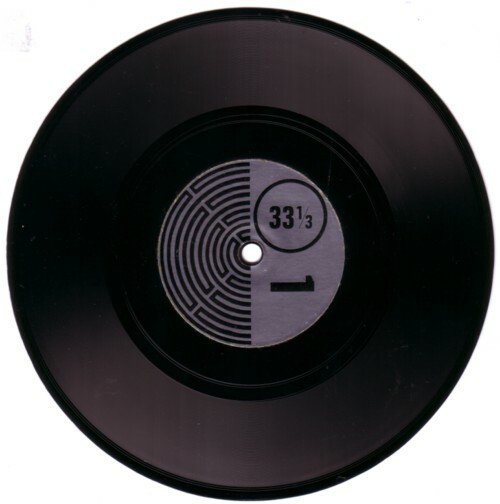 In the space between the final spins of the grooves there are two numbers: “MI 239306” and “SHOL490”. If anybody knows more about this record, I would love to hear it. wat een toeval: ik heb hem ook in mijn verzameling! Al sinds zeker 1970, maar geen idee wie of wat het is, of zelfs hoe ik eraan kom. Stamt in ieder geval van voor 1970. Sorry voor deze waardeloze info..